First, one of the elephants in the room in this case is the brutal reality of urban crime. Columnist Richard Cohen raises a delicate but necessary dimension of this case: ?Where is the politician who will own up to the painful complexity of the problem and acknowledge the widespread fear of crime committed by young black males? . . . [T]he public knows young black males commit a disproportionate amount of crime. In New York City, blacks make up a quarter of the population, yet they represent 78% of all shooting suspects?almost all of them young men.? For these reasons, New York developed the ?stop and frisk? program, which does amount to a form of racial profiling. As a nation, we must be intellectually honest?crime does often intersect with race. If we want an orderly society, police cannot ignore this connection. There is little doubt that George Zimmerman followed Martin because he was black. But as columnist Kathleen Parker has observed, ?it is wrong to presume that recognizing a racial characteristic is necessarily racist. It has been established that several burglaries in Zimmerman?s neighborhood primarily involved young black males . . . if we are honest, we know that human nature includes the accumulation of evolved biases based on experience and survival. In the courtroom, it?s called profiling. In the real world, it?s called common sense.? Second, George Zimmerman was wrong to follow and challenge Trayvon Martin. This tragedy should never have occurred and that it was avoidable is incontrovertible. Zimmerman, who began his role as a neighborhood watchman in 2004, had made over 40 calls to police over the years. That means he perhaps did prevent some crimes from occurring. But when he made the call to police about Martin, he was told to not pursue him. He should never have gotten out of the car?but he did. Zimmerman had a gun and, however the confrontation unfolded, a fight occurred and Martin was shot. The jury acted on the basis of legal definitions and the law. But it still hurts deeply to think that someone?s 17-year old boy, guilty of no crime, died?and his killer is free. How can this be? Because I am white, it is very difficult for me to truly understand how a black person?a black family? looks at the Martin case. I believe I can at least understand why ?injustice? is an appropriate word for them. It just does not seem right that Trayvon Martin is dead and that George Zimmerman bears no responsibility at all for his death. As mentioned above, as a nation, we cannot ignore the facts associated with urban crime and why many Americans fear young black males. But we must, as Christians, empathize with the Martin family?and with all black families. This hurts!! And we should hurt with them. But it is also important to empathize with the Zimmerman family, especially his parents. I saw them interviewed this past week and they are afraid, and hurting too. Their lives will never be the same. For all of these reasons, the Trayvon Martin case once again shows the horrors associated with this fallen, broken world. In the coming Kingdom of Jesus Christ and then in the New Heaven and the New Earth, there will be no Trayvon Martin tragedies: Come quickly Lord Jesus! Third, as a Christian, I believe I must say a word about racism. America has a history littered with ugly manifestations of the sin of racism. Principally, the United States institutionalized chattel slavery that was fundamentally racist in its orientation; it centered on the enslavement of Africans. It took a bitter and costly Civil War (1861-1865) to destroy this monstrous evil. Today, almost 50 years have passed since the Civil Rights Acts of 1964 and 1965, which freed African-Americans from legalized segregation, denial of voting rights and blanket discrimination in the labor market. Blacks now vote without hindrance and the African-American representation in the House of Representatives is about their proportion of the total population. The President of the United States is an African-American. Although as a group they are far from economic parity with whites, blacks have attained high positions in government, the military, business, and education. 1. 1 Corinthians 1:18. The Apostle Paul in 1 Corinthians 1:18 establishes that from God?s viewpoint there are only two groups of human beings: those who are with Christ and those who are without Christ. The Bible does not allow for racial differences as a basis for discrimination. Jesus? death on Calvary?s cross was for all of humanity, not simply the whites, the blacks or any other group of color. 2. Acts 10:34-35. The point of this extraordinary passage is that the salvation God offers is to all humans everywhere, regardless of racial background or characteristics. Peter learned that ?God does not show favoritism, but accepts men from every nation who fear him and do what it is right.? Racial hatred or discrimination is impossible when one sees people the way God does. 3. James 2:1-9. The story is told of Mahatma Gandhi?s search for truth and harmony for his people of India, and his consideration of Christianity. Raised a Hindu, Gandhi did not believe that Hinduism offered the solution to the horrendous discrimination and rigid caste system of India. As he studied law, he believed that Christianity might offer the solution to India?s problems. Hoping to find in Christianity what Hinduism lacked, he attended a church in South Africa. Because the South African church embraced the system of racial segregation called apartheid, the usher offered him a seat on the floor. Gandhi demurred, I might as well remain a Hindu, for Christianity has its own caste system. What a tragedy! James 2 will have none of this. James decries the typical situation of the early church where the wealthy were given a place of privilege and honor in worship, while the poor were only permitted to sit on the floor. Such discriminatory practices violate God?s royal law, ?Love your neighbor as yourself.? To show favoritism is sin; it desecrates God?s standard of love. The church of Jesus Christ must therefore model the supernatural impartiality that refuses to discriminate. The church must model reconciliation of all races and ethnic groups. The church must cut the radical path for culture, for it alone sees people the way God sees them: Regardless of race or ethnic background, all need Jesus Christ and all bear His image. The church has the radical solution to society?s struggle with racial and ethnic differences. It is a supernatural solution: Disciples of Jesus Christ, who have experienced His salvation, love one another with the supernatural love of their Savior. May that love embrace the Trayvon Martin family, and the George Zimmerman family. Sad to see a man trotting out such a pageant of lies & half-truths. He calls Trayvon “smiling” & implies that he was a little angel — why is Eckman covering up the fact that Trayvon had a rap sheet which included severely beating a schoolbus driver, drug use, & theft. Autopsy revealed that Trayvon’s liver was damaged from illegal drug use. Tryvon’s tweets & other social media posts show him flashing gang signs & speaking profanely. Trayvon jumped on Zimmerman was was in the act of attempted murder (beating Zimmerman’s head into the pavement) when Zimmerman acted legally in self-defence. But Eckman censors all these inconvenient truths. 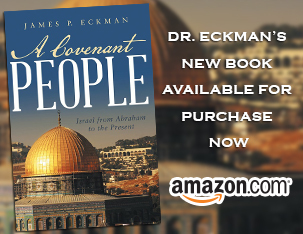 Eckman is serving not God but the Deceiver, SATAN. And because he can’t allow opposition, this comment will never show up. Well the comment did show up and I for one am glad that we live in a country that has due process and the belief that a man is considered innocent until proven guilty. Past mistakes does not automatically assign guilt to a every situation in a mans life. Look beyond the charges and rap sheet, there are many in this country who are serving time for crimes they did not commit. Glad there are still intelligent people who are willing to dig for the real truth. Let God play God. And only God can judge Dr. Jim Eckman. Great Article and glad Dr. Eckman shared. Log in | 38 queries. 0.223 seconds.